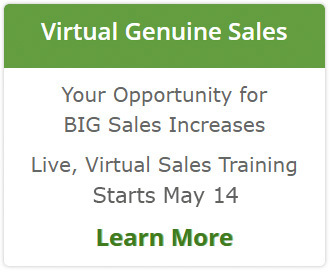 For many years I have practiced and taught consultative selling skills…and had great success. Buyers – actually all customers – have access to so much more information than they ever did before. They can find many suppliers, options, and forums to discuss what works and what doesn’t, and even (gasp!) pricing details. All this information changes our conversations forever. We now need to know more too! We can’t be know-it-alls and tell the buyer/customer everything we know. We need to know more so that we can work with the information they have and be flexible in our conversations. You see, buyers need to be acknowledged for what they know, what they’ve done, and their ideas. That means that instead of us being the lone expert and prescribing a solution — whether that be a product or service — we need to do so with them. We need to be collaborative versus consultative. Collaborative selling is working with your buyer to help them do or decide something. It’s helping them make a decision to address their problems, opportunities, wants, or needs or take an action to move toward doing so. How do we collaborate in a sales conversation? That’s what I’ll cover over the next few months in the blog – you’ll need to stay tuned, as they say. 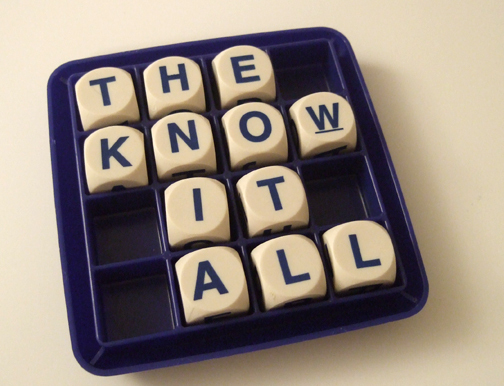 know-it-all who wants to learn enough to tell them what they need or how they should do something? challenger who questions everything to set yourself up as the hero? collaborator who converses (a two-way dialogue) through the sales process? Different approaches do work, yet today’s buyers may not give you another chance if you challenge or tell them without involving them and respecting their ideas as well. What do you think? How have your sales or customer conversations changed over the last few years? Leave a comment here to be entered into the drawing for a signed copy of the Conversations That Sell book. Absolutely, Nancy – good selling has always been about the customer’s point of view, and if we use an audience specific language, they will take ownership of the buying process so you never have to ‘sell’ again.